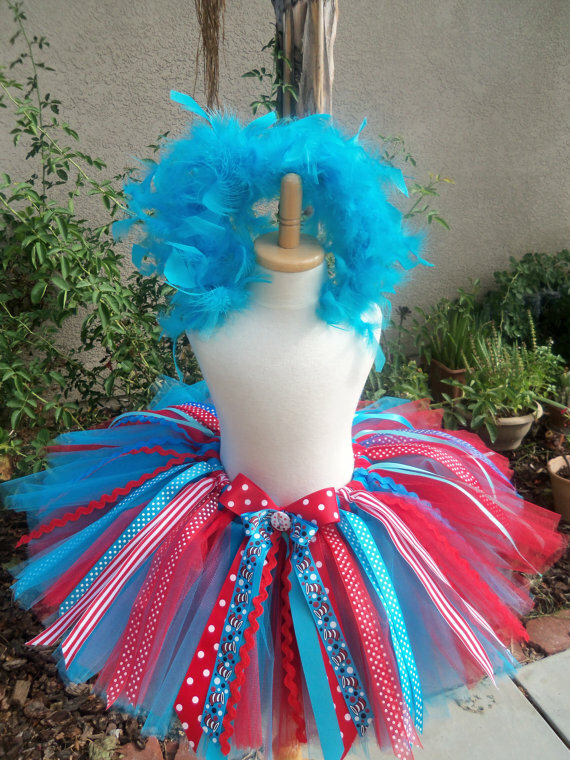 Are you having a Dr. Seuss inspired party this year? If so this dress would be perfect for your little angel or angels. It comes with the dress and matching hairbow. 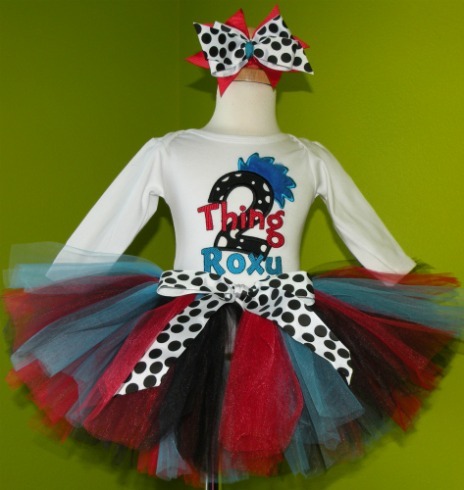 This tutu dress set is perfect for birthday celebrations for twins, siblings or best friends, special occasions or everyday wear. 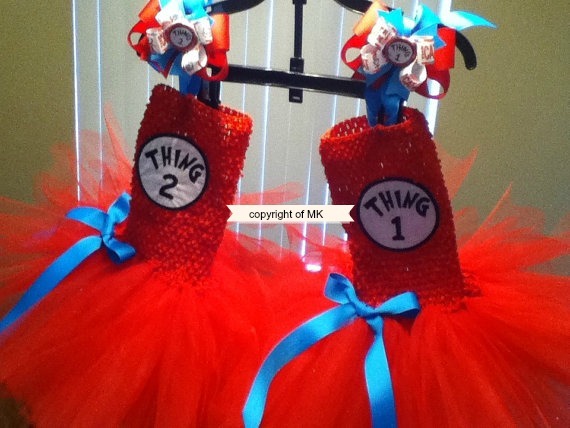 Buy 1 dress or 2 to create the perfect Thing 1 and Thing 2 Duo. Super full & bouncy knee length dress. Actual embroidered patch on dress.